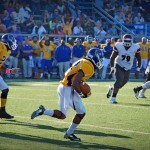 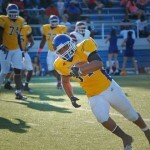 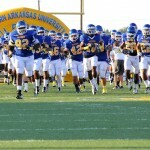 Three years of rebuilding the Southern Arkansas football program finally paid off in the fourth season for Head Coach Bill Keopple and his coaching staff as the Muleriders erased a six-year drought in finishing a stellar 2012 campaign with an 8-2 regular season record and at third in the Great American Conference at 6-2. 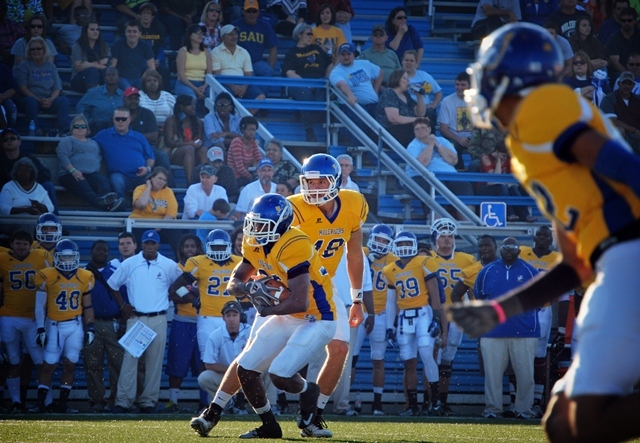 SAU earned its first winning season since 2005, with the eight wins the most since the 2003 team went 9-3, and its .800 winning percentage was the best dating back to the 1999 team’s identical 8-2 mark. 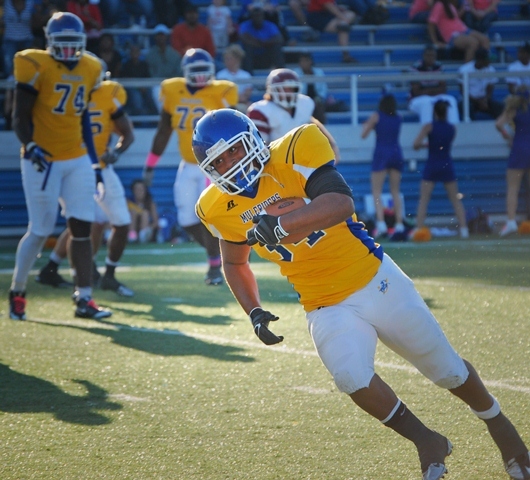 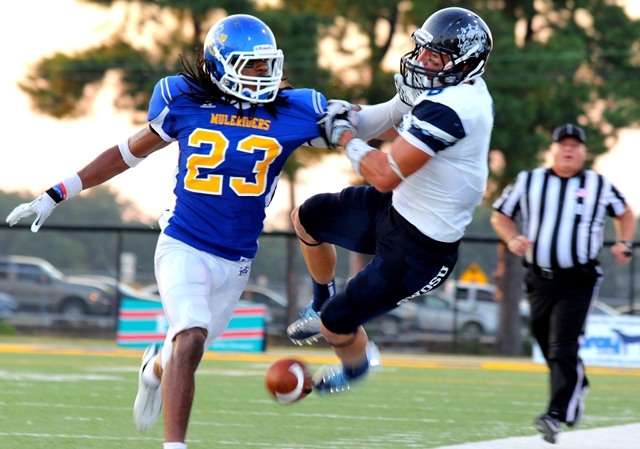 Southern Arkansas was only 13 points away from a perfect season, falling 23-20 to Harding October 6 in the fourth annual Boomtown Classic in El Dorado, and then suffering a 44-36 loss at home to No. 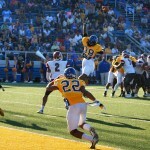 9 Henderson State October 27. 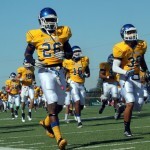 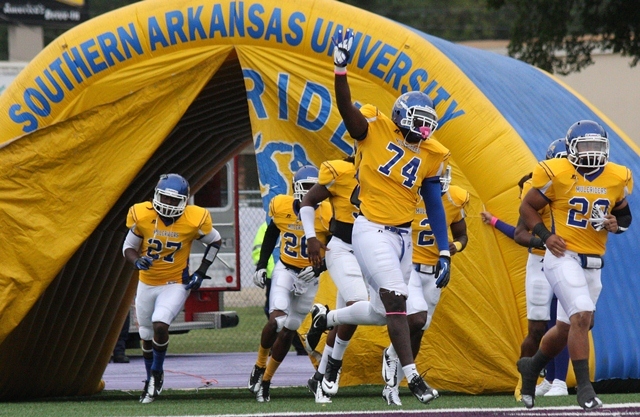 The Muleriders’ successful season didn’t earn them a spot in the playoffs, but they would be the final GAC member still playing into December, receiving an invitation to the inaugural Division II Heart of Texas Bowl December 1 in Copperas Cove, Texas. 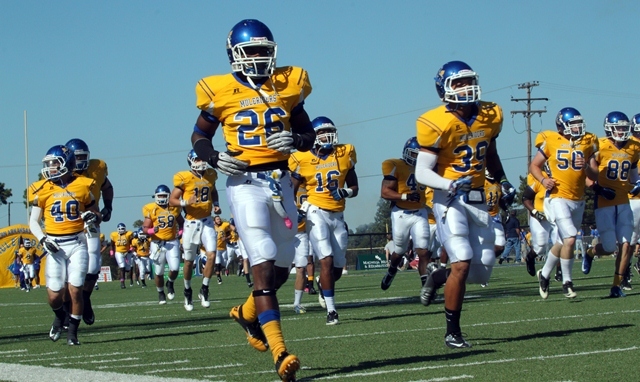 SAU’s season also didn’t go unnoticed in the polls, as they received votes in the official AFCA Division II poll and were ranked 10th in the Super Region 3 poll, both firsts since the 2004 season. 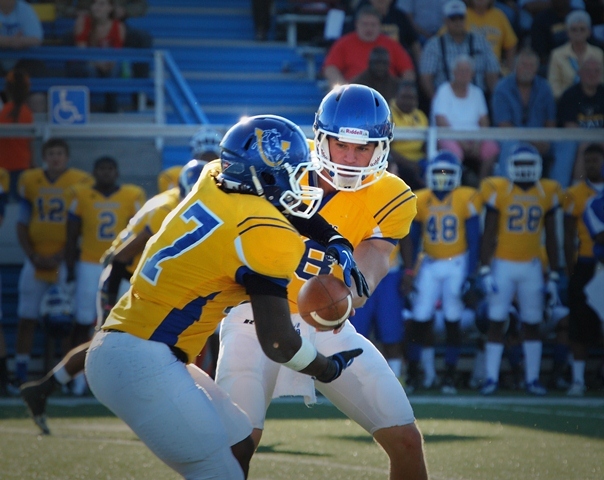 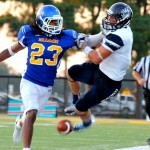 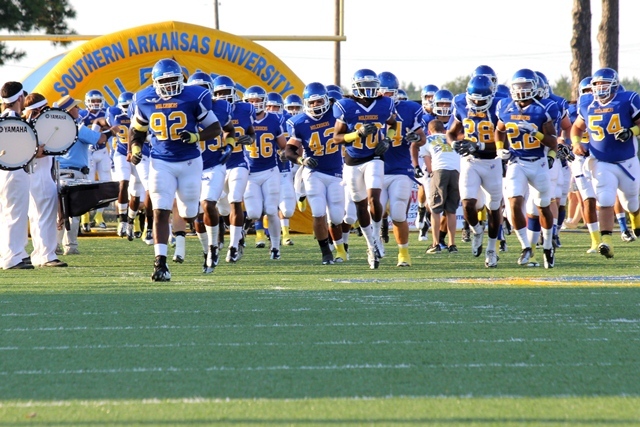 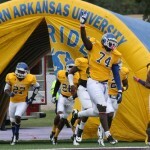 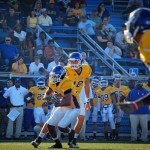 Southern Arkansas finished the regular season ranked in the top two in 12 categories statistically in the GAC and in the top 25 in seven categories nationally, including seventh in total offense with 485.6 yards per game, and 11th in rushing defense (98.3) and 12th in passing offense (310.6). 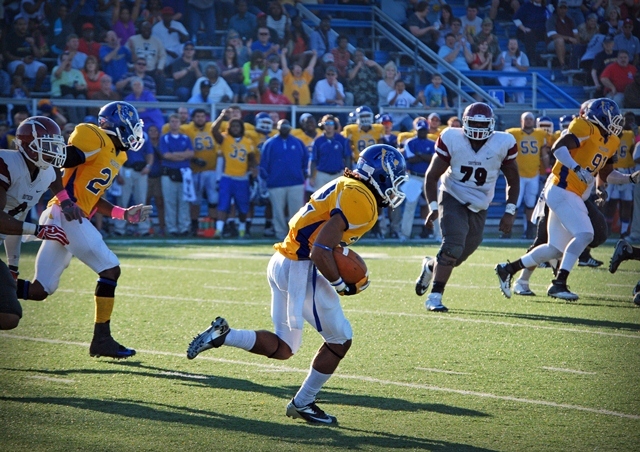 The Muleriders’ success was certainly evident individually, with 11 players honored on the All-GAC team, including three first team selections in junior running back Mark Johnson, senior offensive tackle Lantz Castleman and senior cornerback Don Unamba. 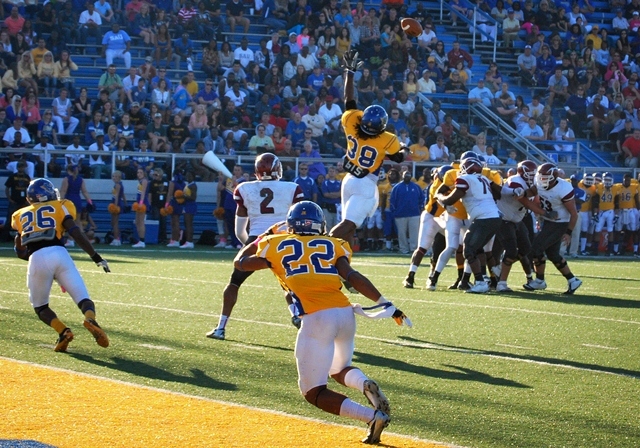 SAU basically re-wrote the school record book, with the team setting seven school marks, and players breaking 14 individual records and tying three others. 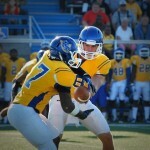 All-conference junior quarterback Tyler Sykora smashed 12 school records this season and tied one of his own, while Johnson surpassed the career rushing touchdown total, and Unamba tied two school records.